This upbeat write-up from AFP does not prove that MBS is alive !!! Al-Qaeda fumes after semi-naked wrestlers staged a Royal Rumble event in Jeddah, with the jihadist group issuing a stern warning to Saudi Arabia's reformist Crown Prince Mohammed bin Salman over his "sinful projects"
Al-Qaeda in the Arabian Peninsula has warned Saudi Arabia's reformist Crown Prince Mohammed bin Salman over his "sinful projects", in a bulletin released Friday.Prince Mohammed has spearheaded a string of policy changes in ultraconservative Saudi Arabia, including reinstating cinemas and allowing women to drive. "The new era of Bin Salman replaced mosques with movie theatres," the Yemen-based jihadist group said in its Madad news bulletin, picked up by the SITE Intelligence Group.He "substituted books that belonged to the imams... with absurdities of the atheists and secularists from the east and the west and opened the door wide for corruption and moral degradation," it said. As of yet, there is no indication that MBS is dead or alive but seriously injured ! "(Foreign) disbelieving wrestlers exposed their privates and on most of them was the sign of the cross, in front of a mixed gathering of young Muslim men and women," it said. "The corruptors did not stop at that, for every night musical concerts are being announced, as well as movies and circus shows," SITE quoted it as saying. ^^^^If he is still alive then why not show him in live interview? Something is wrong. But then who cares if one camel herder dies another comes.Could this be reason for Modi's unscheduled meeting with stakeholders? After all we have thousands of Indian workers in Gulf and if Saudis start killing each-other there will be chaos.I know it is US sphere of influence but we have to keep our oil supplies intact. Saudi Arabia’s King Salman issued a number of royal decrees, including naming a young prince who is close to his son and heir as head of a newly established Culture Ministry early on Saturday. 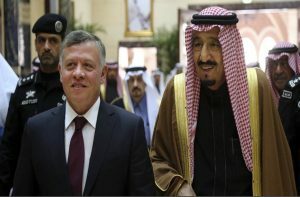 In another decree early on Saturday, the king relieved Sheikh Saleh bin Abdulaziz bin Mohammed Al Sheikh from his longtime post as head of the Islamic Affairs Ministry. He had served in the post for nearly 20 years until 2014, was replaced for three months and then re-appointed in 2015. The Al Sheikh family have a long and close history with the ruling Al Saud family. They are descendants of Sheikh Mohammed Ibn Abdul-Wahhab, whose ultraconservative teachings of Islam in the 18th century are widely referred to as “Wahhabism” in his name. Conservatives back into the sadldle in Saudia ? How long can they keep alive the fiction of MBS still living on earth ? FaliG, how do u c that as conservatives coming back into the camelback? The report says 20-yr occupant of Wahab Chair now deposed and replaced with wunderkind? If MBS is pest-e-Sha'eed, it doesn't seem likely that Bin^2 Wahab could be budged. The fellow has probably ordered more beheadings and other amputations than the top goat-butcher in LaHore, hain? Austin wrote: Whats with Saudi ? other saudi twitteratis are alleging on SM that Israel is back stabbing Saudi while pretending to support. What “military action” do the Saudis have in mind? Qatar please buy these S-400’s and Saudi please make good on your threats. We all want to watch the fireworks! What a joy it would be to see these two ISIS-sponsoring US lapdogs having a go at one another! How come Qatar which is buying USD 24 Billion- 72 F-15's, USd 12 Billion -24 Typhoon, USD 9 .5 Billion for 36 Rafales is CAATSA Free? if missed: Jordan is in turmoil and some sort of color revolution is on against govt. Y. Kanan wrote: What “military action” do the Saudis have in mind? Qatar please buy these S-400’s and Saudi please make good on your threats. We all want to watch the fireworks! What a joy it would be to see these two ISIS-sponsoring US lapdogs having a go at one another! Qatar is at a location where it is difficult for Iran to help across the sea and its pidly small compared to Saudi . Saudi = OPEC , military of many nations. US wants region on boil but no overt war and countries living in fear. So that both keep running to white house and ghooskhor lobbyists. It helps to run their economy by selling expensive weapons to oil rich nations. Trump has complicated situation by mixing family business with politics without thinking of long term consequences. If UK PM seems to have spoken to MbS then he is likely alive! While the announcement that the Saudis may soon develop nuclear weapons with the help of Israel and other regional players will likely cause concern throughout the international community, it is hardly the first indication of Saudi ambition to acquire weapons of mass destruction. Indeed, Saudi interest in developing nuclear weapons dates back to the 1970s, when the kingdom learned of major steps taken by both Israel and India in the development of nuclear armaments. Not long after financing the Pakistani program, the Saudis procured a Chinese ballistic missile system capable of carrying nuclear warheads — warheads that Pakistan had made for the Saudis in 2013 and were awaiting delivery, according to a BBC report published at the time. Three years later in 2016, former CIA Operations Officer Duane Clarridge confirmed this to FOX News — stating that, through their financing of the Pakistani nuclear program, the Saudis had access to several nuclear bombs. Clarridge declined to comment on whether those nuclear weapons that had been “sitting ready for delivery” in Pakistan a few years prior had since been delivered to Saudi Arabia. yes that seems to be true still appearance of Zakir Naik against whom India has got many international warrants issued is shocking. But should FIFA at its June 13 congress in Moscow move to expand the number of teams in the 2022 cup, Qatar would have to tackle a heavily expanded workload on a tight timeline. A 50 percent increase in teams would strain Qatar’s ability to host the tournament. While Doha initially bid for 12 stadiums, it is only building eight. Questions have also been raised over how the country will accommodate the up to 1.5 million fans expected to attend the event -- and that’s before 16 teams are added. Palestinians are torching Israel with fire kites. Resident fees, expensive school fees and higher visa fees makes it difficult for Indian families to stay in Saudi. While bread earner is staying back, Indians are sending families back to South India. NRI Gulf students make a bee line for admission in schools of India. Last edited by IndraD on 08 Jun 2018 01:58, edited 1 time in total. His Iftar party excluded Qatar. WASHINGTON — Wishing Muslims around the world a "Ramadan Mubarak" — a blessed holiday — President Donald Trump on Wednesday hosted his first White House dinner for Islam's holy month of Ramadan, an overture that surprised many in the Muslim community after he skipped hosting such a meal last year. Speaking at an iftar dinner, which breaks the daylong fast, Trump offered a message of unity, recognizing members of the Muslim community at home and abroad. "In gathering together this evening, we honor a sacred tradition of one of the world's great religions," he told an intimate audience that included Cabinet members and ambassadors from many Muslim-majority nations including Saudi Arabia, Kuwait, Jordan and the United Arab Emirates. 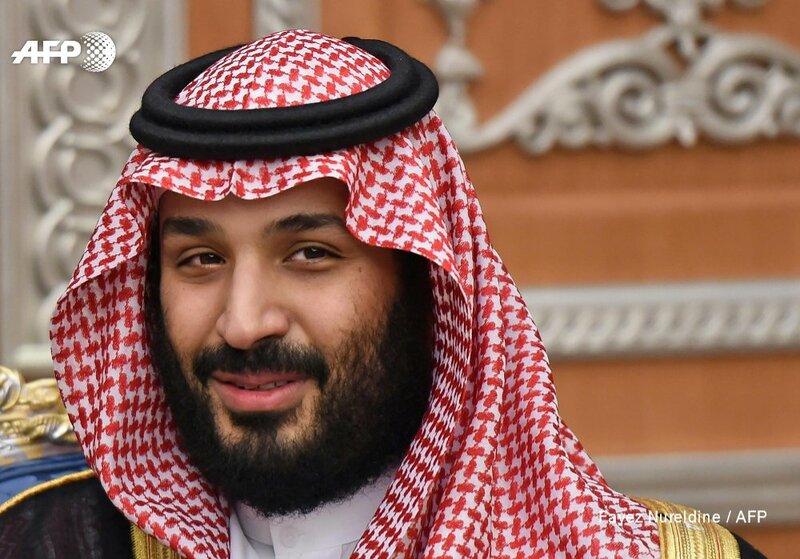 MOSCOW – Quelling rumours about his ‘killing’ in an attempted coup, Saudi Crown Prince Mohammad bin Salman will make his first foreign tour since his dubious disappearance when he will travel to Russia next week to attend the opening ceremony of the 2018 FIFA World Cup.A Russian journalist in his story claimed that the 32-year-old prince is alive and will meet President Putin, who is keen to strengthen ties with the Islamic Kingdom “as he “balances” Iran in the Mideast and seeks to guarantee Saudi support for the Russian peace plan in Syria”. So, the recent "rumours" of him succumbing to injuries in the recent attempted coup , were just "rumours" . Hope a "double" does not show up in Moscow for the occasion . The Russians would not know better. Another Russian media outlet citing Director of the of the Crown Prince’s Private Office Bader al-Asaker said that the Saudi prince also known as MBS will visit Moscow on June 14.“Crown Prince Mohammad bin Salman will attend the 2018 FIFA World Cup opening ceremony in Russia,” Asaker wrote on his Facebook page. The rumoured assassination of Saudi crown prince Mohammed bin Salman had set the tongues wagging a few weeks ago after Russian and Iranian media speculated about the possible death of 32-year-old during a coup attempt. The rumours were sparked once again earlier this month after a chilling photo went viran the internet allegedly showing MBS (Mohammed bin Salman) being taken for performing his last rituals. The picture shows Saudi bigwigs including Saudi King Salman ‘carrying’ his son. However, to quash the rumours, the royal family of Saudi Arabia has released an official video on Wednesday which shows Crown Prince Mohammed Bin Salman attending a summit.The video apparently shows Salman greeting Yemeni President Abdrabbo Mansour Hadi in Jeddah to discuss the ongoing Yemen crisis as reported earlier on Al-Arabiya. In original, the photo showing King Salman and other Saudi royals carrying a deceased on their shoulders belongs to the funeral of former King of hydrocarbon-rich Kingdom, Abdullah bin Abdulaziz Al Saud, who breathed his last on January 23, 2015. Atul Kochhar issue has become complicated. He is a Michelin star chef working in Dubai who commented on Priyanka Chopra Quantico thing 2 days ago. Ever since he has been facing online threats and now it appears he might end up in UAE jail. Ummas cutting across countries are asking UAE to set up an example cheered by Dhimmis from India, tagging Dubai police. Sushma Swaraj & Co so far have been magnanimous in getting trapped Indians released; example afresh is Father Tom Ujhhillu from Kerala. Operation lead by Gen V K Singh in Yemen & so on. This is a low hanging fruit yet a litmus test for Modi govt as right leaning audience is watching with baited breath if a Hindu trapped in Dubail will get as much importance as a minority. Indian origin chef facing imminent arrest. Money Talks, Islam Prevails ! Chef Kochar Terminated For Anti - Malsi Remarks ! Falijee wrote: Money Talks, Islam Prevails ! Chef Kochar Terminated For Anti - Malsi Remarks ! Whenever something wrong happens suddenly his/her Indian roots are mentioned. Anyway he is paying for his foolishness to work in a country where there is no rule of law. One law for Arabia camel herders other for poor workers. - Forty Two Years too late ! - The "Operative Word" In The Earth Shattering Headline is "To Release"
- "Celebrate"- When it actually happens ! - Since at least two months ago now , he has suddenly "disappeared" from the Saudi (political ) scene , although a pretense is being maintained that he is still "there"